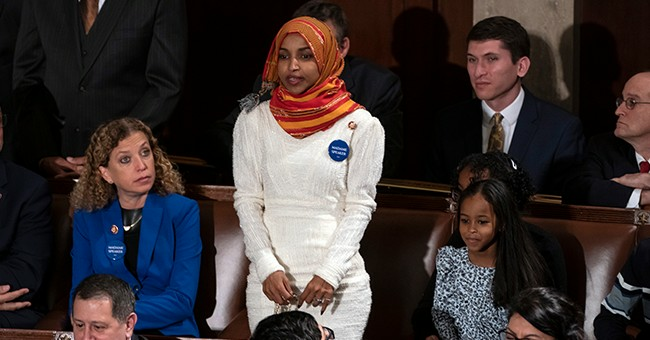 Rep. Gerry Connolly (D-VA) gave his two cents on Rep. Ilhan Omar's (D-MN) anti-Semitic tweets on Monday, saying that they could be attributed to her being "young" and a Congress "freshman." Appearing on CNN's "Tonight," Rep. Connolly compared Omar to Rep. Steve King (R-Iowa), who was recently stripped of his committee assignments due to his comments on white supremacy. "I make a huge distinction between Omar and say somebody like Steve King, whose been around for decades," Connolly told "Tonight" host Don Lemon. "Steve King's been saying horrible, racist things for a long time. Omar's a freshman. She's new here. She's young. I think she has learned a painful lesson that the words you use through whatever medium can be painful and can be hurtful and will have consequences." Connolly went on to say that he didn't believe that Omar should lose any of her committee assignments over her comments. "I think she represents a voice," he said. "She represents her community. This could be a learning experience that will actually help her become a more effective member." Connolly accused House Minority Leader Kevin McCarthy (R., Calif.) of anti-Semitism later in the interview for targeting George Soros on Twitter last October. Soros is a liberal billionaire and a mega donor to the Democratic party. "I will say I think it's a bit much for Minority Leader McCarthy to be throwing stones from his own glass house," Connolly said, later commenting, "McCarthy has his own anti-Semitic problem and I think he ought to be a little more circumspect in judging others given his record."